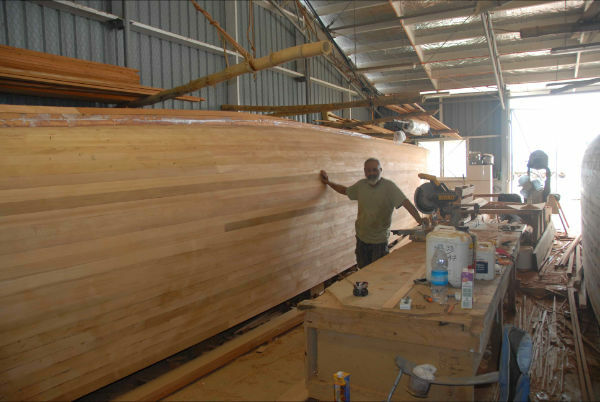 It’s billed as the largest boat ever built in Vava’u, and it is sailing now after a six-month build in the fisheries shed at Halaevalu Wharf, Neiafu. Named for the Kingdom of Tonga’s beloved Queen Salote Tupou III, whose 46-year rule began at the age of 18 and ended in 1966, here is the new HM Salote. 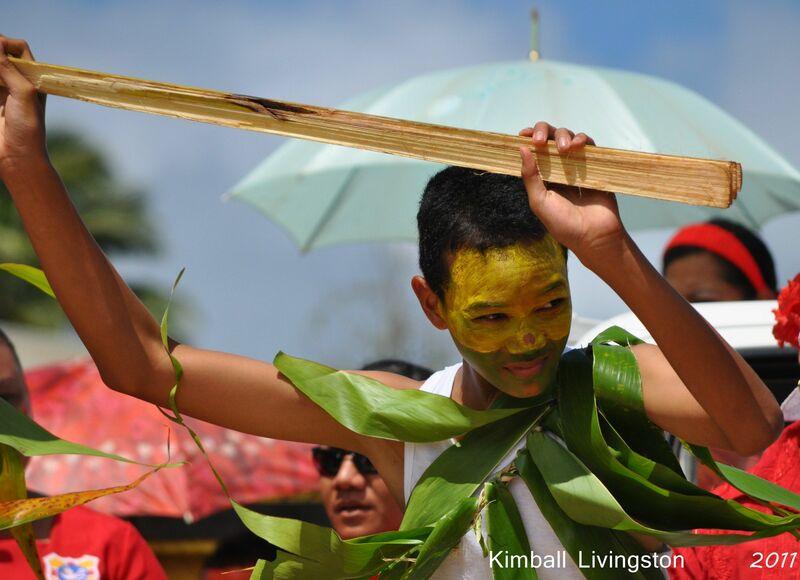 Kalia is the Tongan word for these traditional craft. 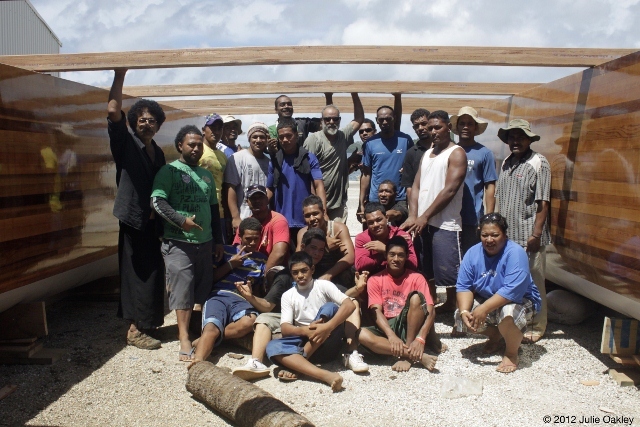 The kalia Salote was launched in June  by hand, with help from members of the Tongan rugby team, the Ikale Tahi  and she began sailing in July. Salote was designed by Denis Belvedere and built by Denis, wife Donna Belvedere, and Nolo and Paule Halaltimgano. 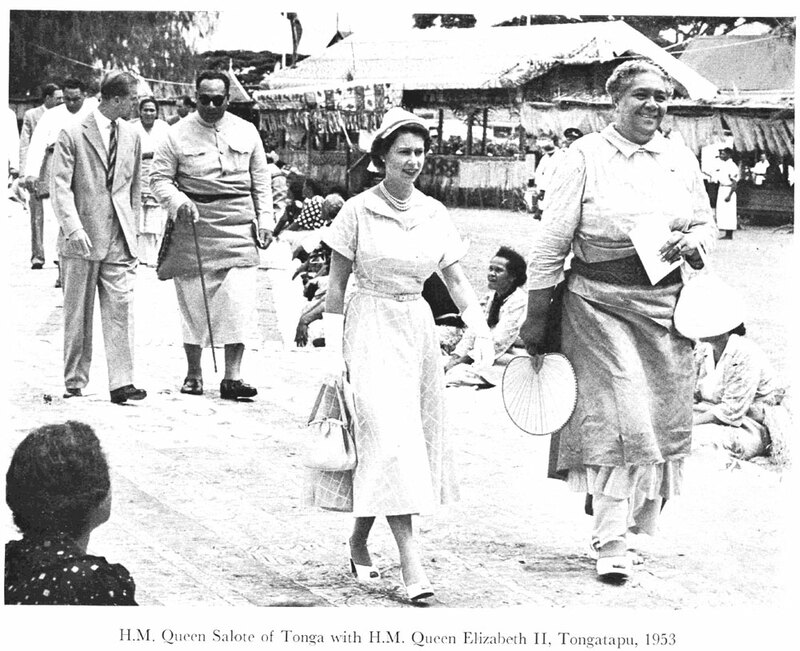 Here is Salote’s namesake in 1953, walking with another queen who’s been in the news of late. Salote, I believe, will provide a very different charter experience from what you get with the Belvedere’s Palmer Johnson 40. 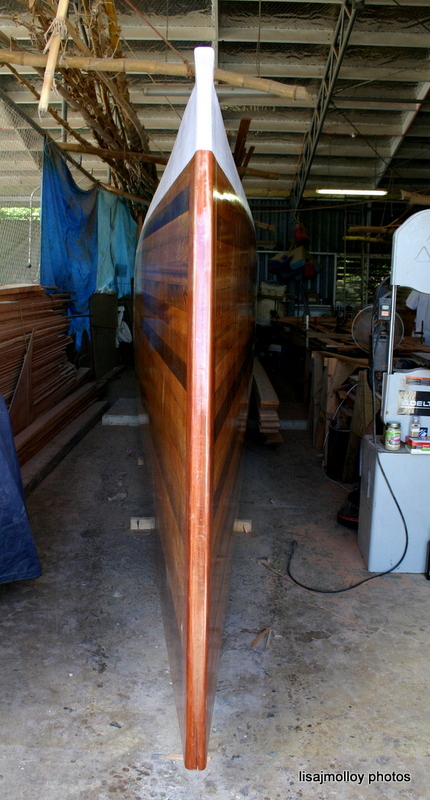 When I was in Tonga for the 2011 Regatta Vava’u, the Belvederes said they were going to build. Obviously, they took the plan seriously. It went like this, and I reckon that strip planking is a bit outside the ancient tradition, but so is the onboard potty . . . 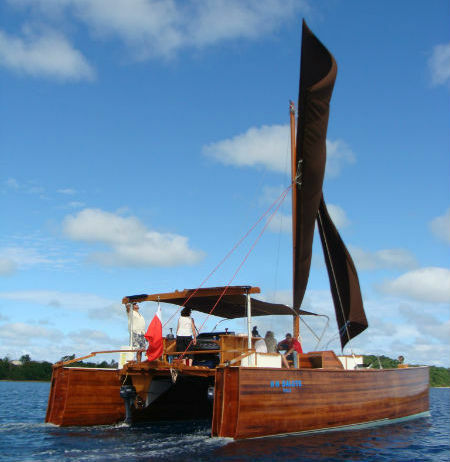 In 2011, when I sailed Regatta Vava’u, I discovered, in my first time in the northernmost island group of Tonga, a place that is all its own. 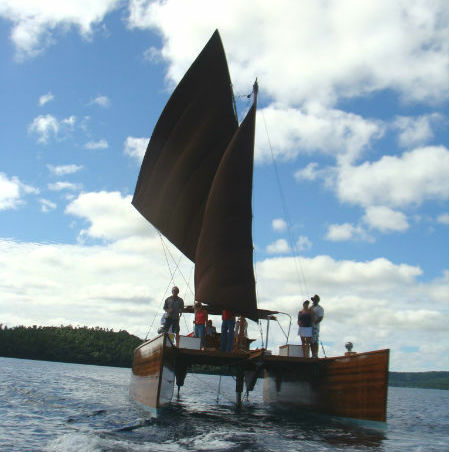 The next Regatta Vava’u and Festival, September 22-28, will no doubt exceed what I experienced at the 2011 event, where I discovered that this is a place where pigs run free. 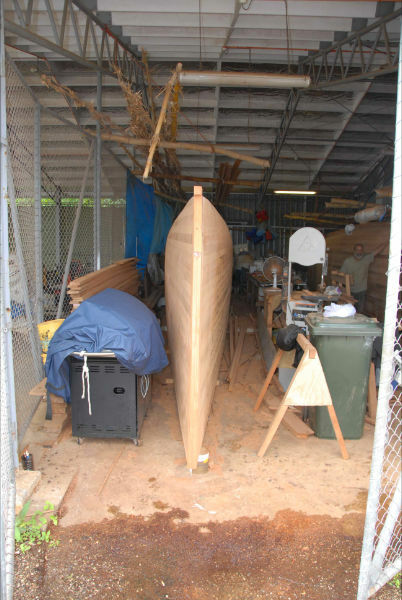 It’s not your average festival, and I’m pretty sure that if you check into my account of Regatta Vava’u 2011, I won’t be wasting your time.